Kusti is Pakistan’s traditional wrestling on soil. This ancient sport used to hold great importance in Pakistani societies, its popularity over the recent years however, has dwindled tremendously. Kushti is particularly famous in the Punjab which has bread and flourished many famous internationally renowned players of the last century. One of these is Gama Phailwan who was awarded World Heavyweight Champion in 1910 by India. He also remains the only undefeated Kushti player in the history of Pakistan during his whole career. Interestingly, Kulsoom Nawaz, the wife of Nawaz Sharif (President of Pakistan) is the grand-daughter of Gama Phailwan. Lahore is one cities where Kusti seems to be thriving. The sport is as popular as ever in the villages that surround the city. When matches are held, as many as 20,000 spectators attend. Despite its popularity there are only a handful of known Akhara’s in or around the city, where both young and senior enthusiasts from different sects of the society come together irrespective of their cultural setup. 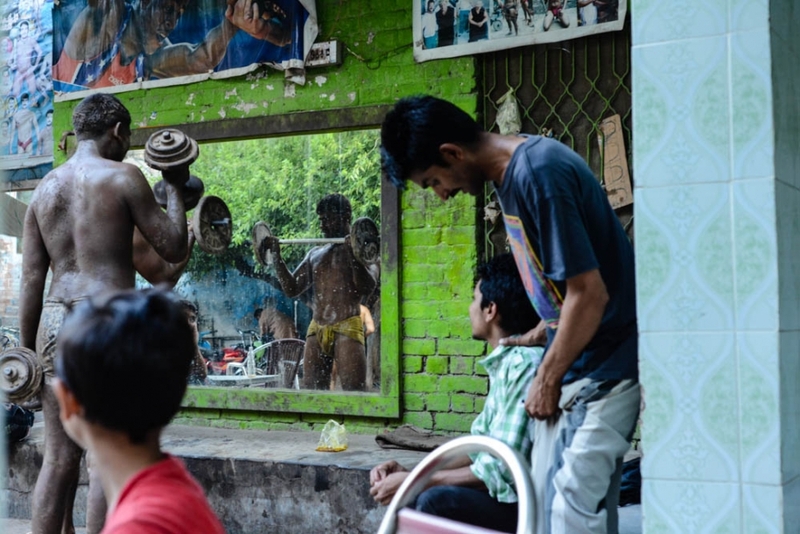 Gruelling daily training, strict diet and celibacy for the duration of their careers are necessary if they hope to ever achieve their dream – to become a champion ‘phailwan’ (wrestler). But as modernity sweeps Pakistan and Western sports like cricket become more popular, some Akhara’s are being abandoned and left without any financial help. 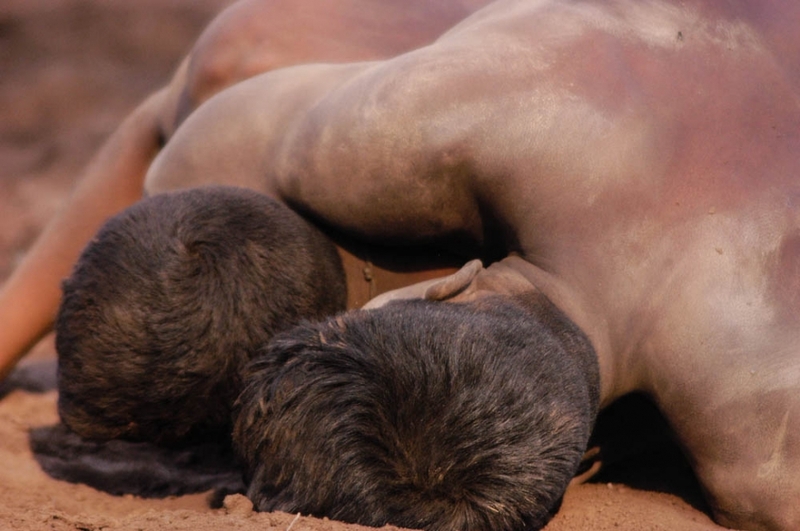 After prayers are said and the pit prepared, the wrestlers rub their faces and bodies, and those of their opponents, with red dirt, which serves both as a blessing and to improve grip during the bout. The wrestlers spar for several hours. They eat and rest and, in the evening, the routine is repeated. Using the soil to reduce impact and improve movement, wrestlers intertwine their bodies in complex techniques. Wrestling competitions, known as dangal, are held in villages and as such are variable and flexible. The arena is either a circular or square shape, measuring at least fourteen feet across. 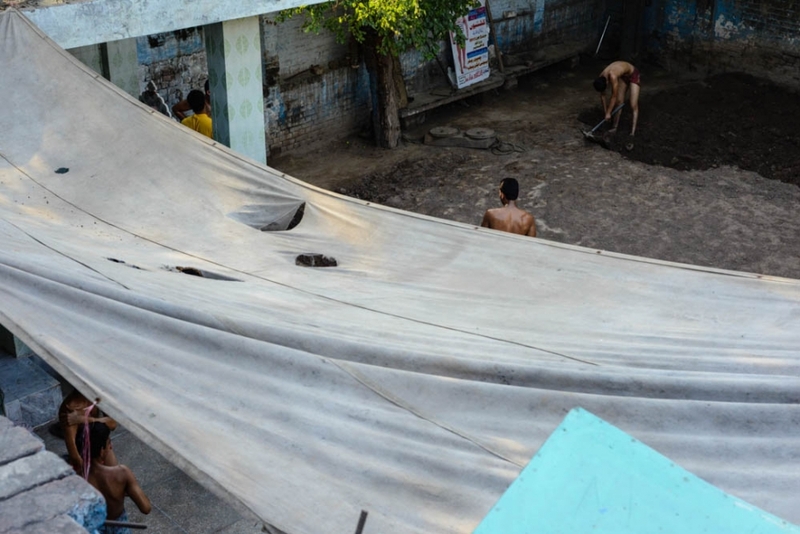 Rather than using modern mats, South Asian wrestlers train and compete on dirt floors.